Geotechnical Engineer – Engineering Consulting Services, Ltd. The site of a purposed MSE wall and adjoining paved parking was underlain by up to 30 feet of sanitary landfill material. 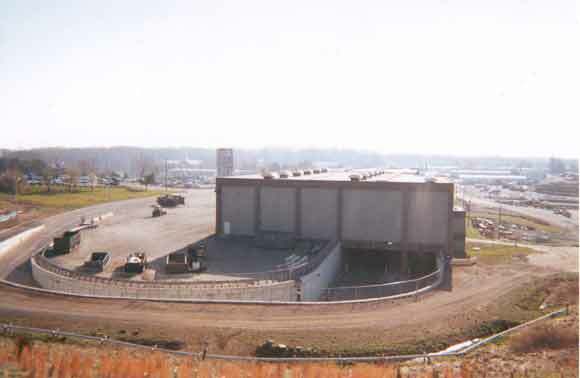 The construction was part a landfill transfer station expansion. To eliminate excessive settlement in the parking lot and the MSE wall, dynamic compaction was selected to compact the existing landfill material prior to construction. Since the work was performed in the wintertime, a gravel blanket was placed over the surface and this material was used as crater backfill material. Vibration levels were continuously monitored in the adjacent structure. Vibration levels were below damage threshold levels. Three years following the completion of the project, no discernable settlement of the pavement or the MSE walls could be detected.